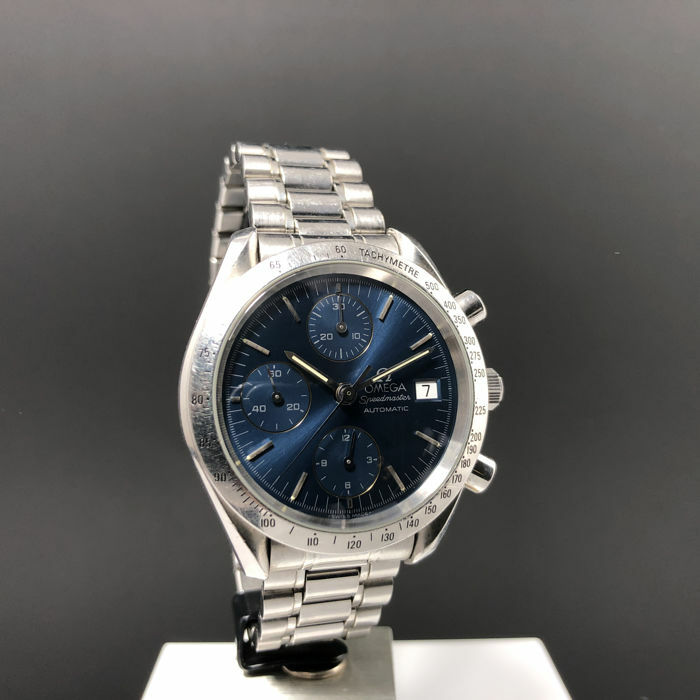 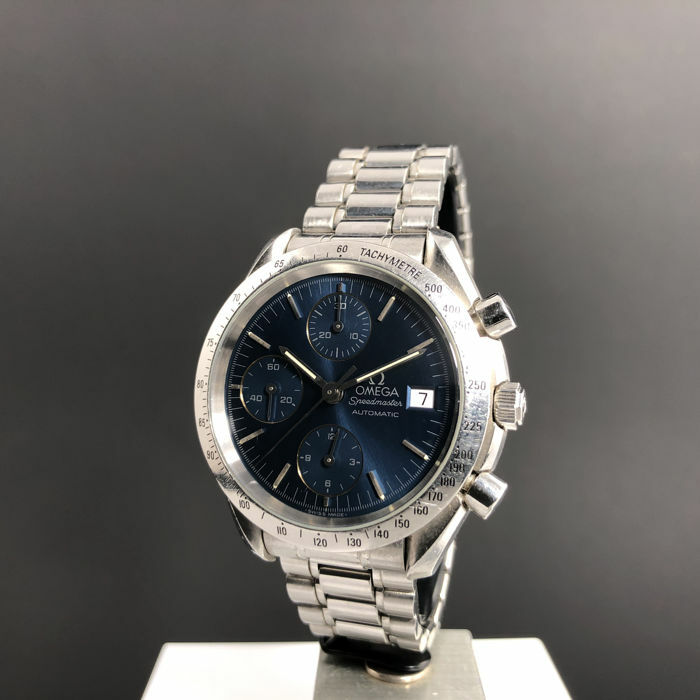 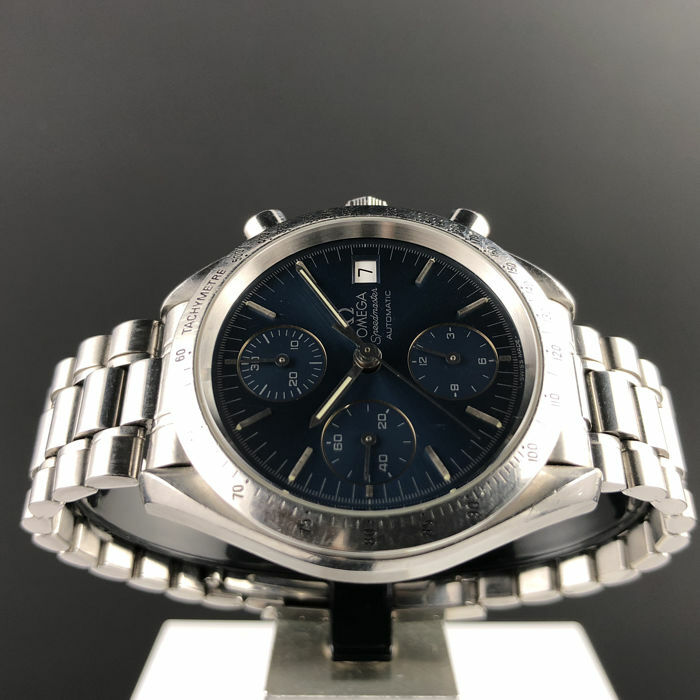 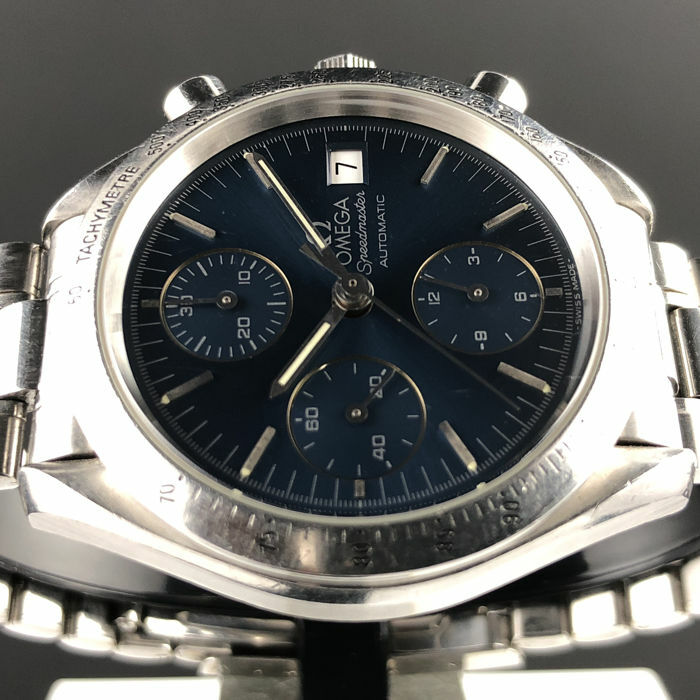 You are bidding for Omega Speedmaster Tachymeter Men’s Chronograph blue dial, which is one of OMEGA’s most iconic timepieces. 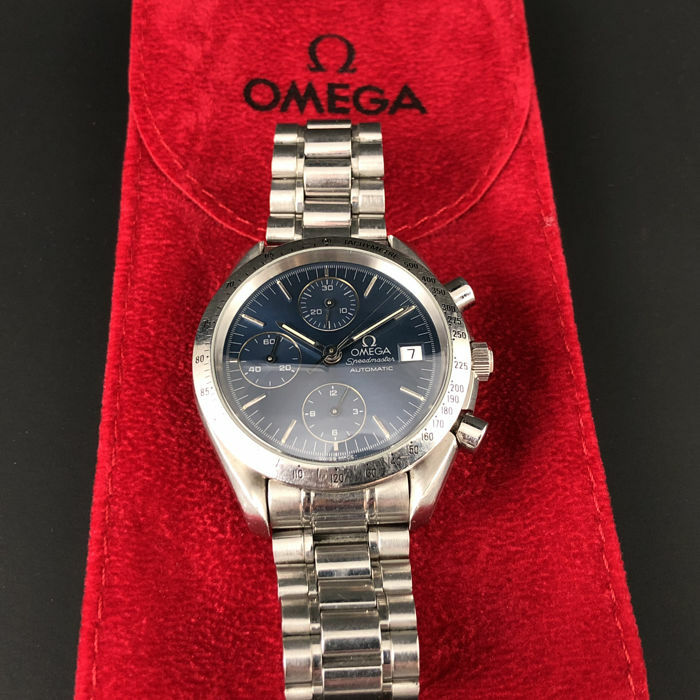 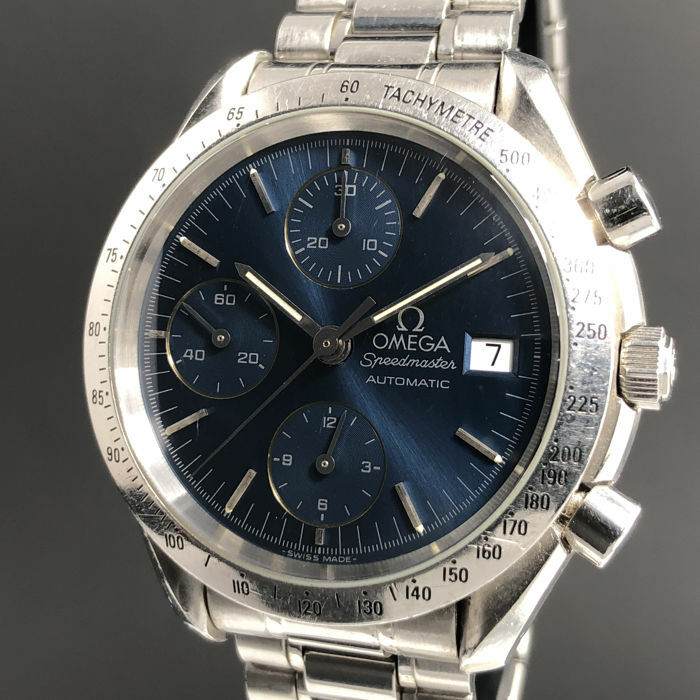 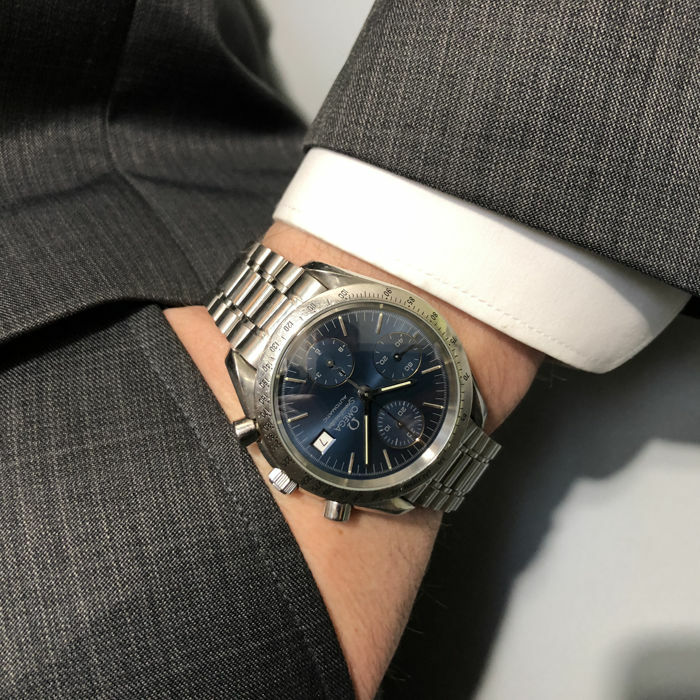 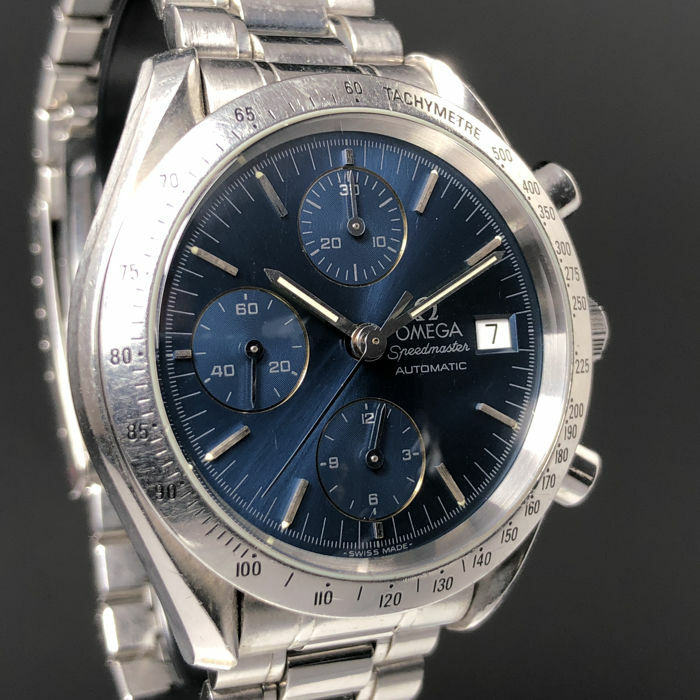 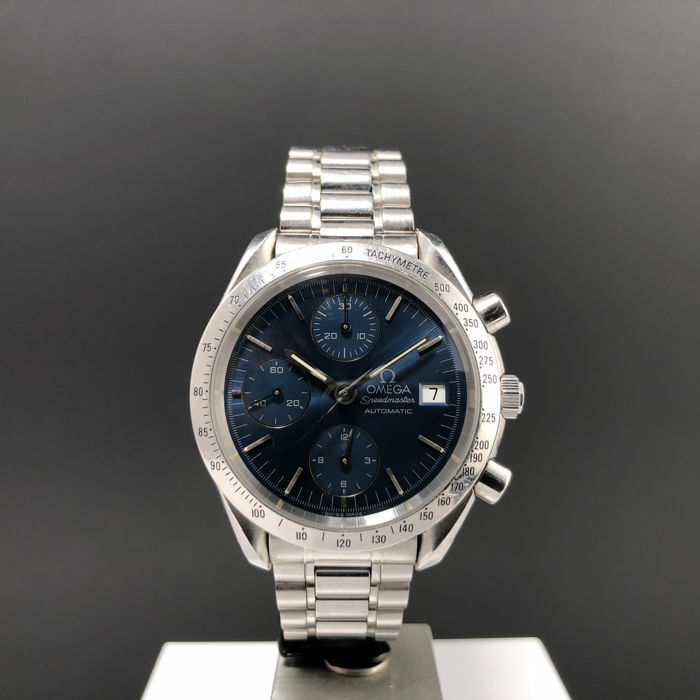 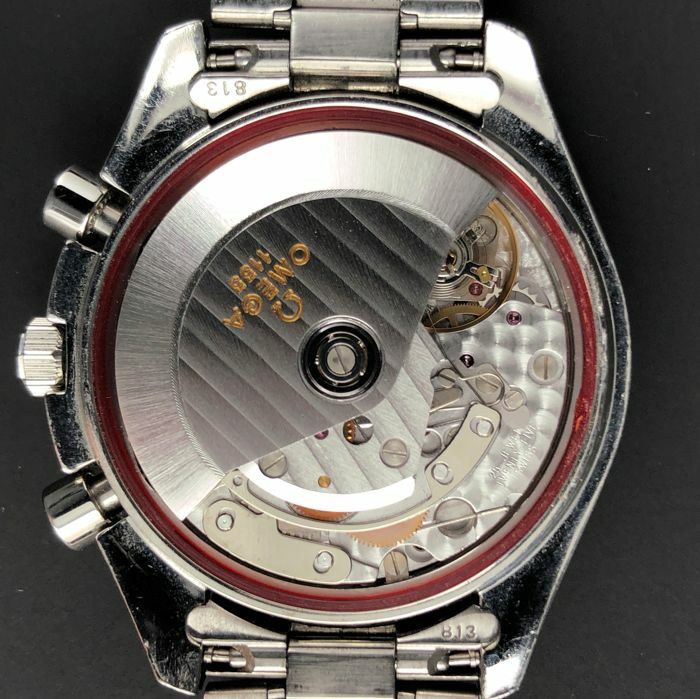 This model features a blue original dial with a triple register, date at 3 o'clock, signed "OMEGA Speedmaster", "Automatic", " Swiss Made" with “Omega” logo and original sapphire crystal. 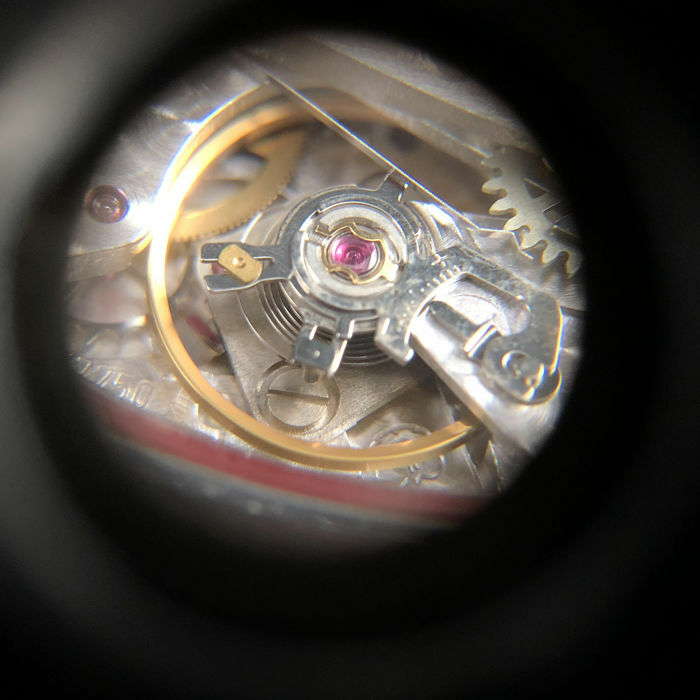 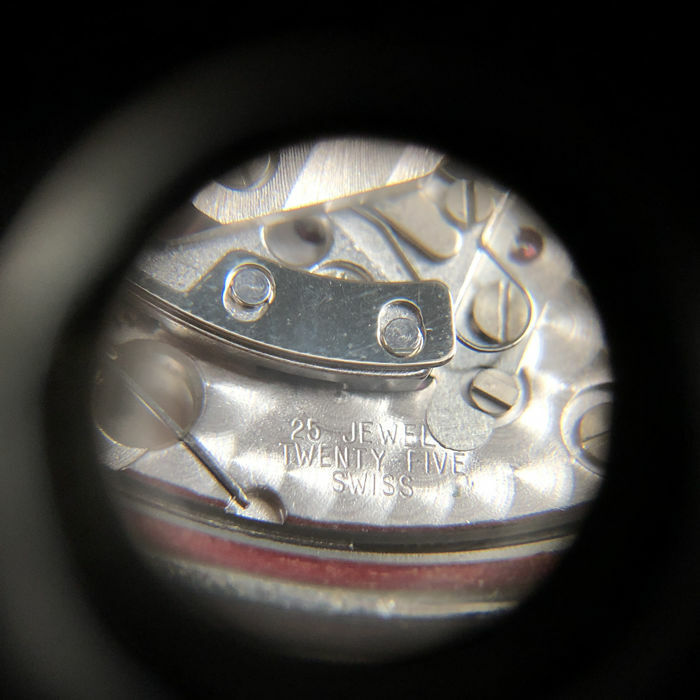 A small seconds dial, 30-minute recorder and 12-hour recorder grace the dial along with a central chronograph hand, also hours and minutes hands. 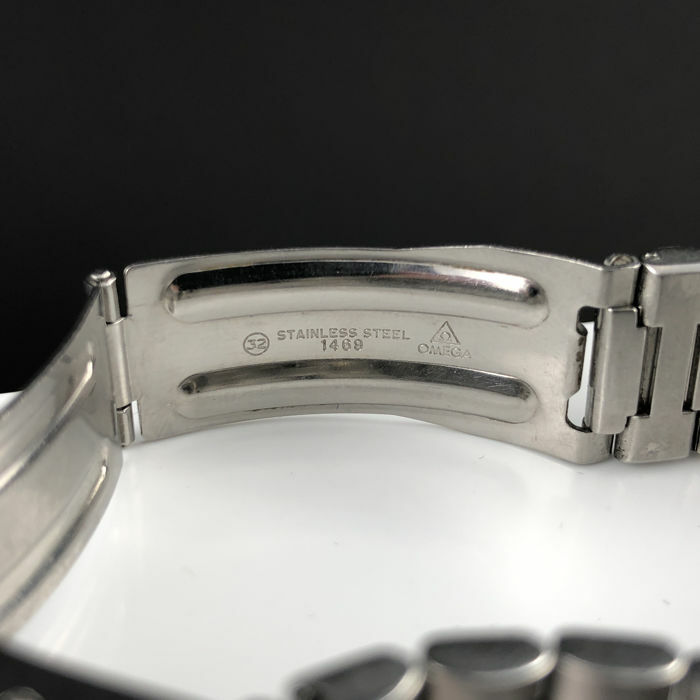 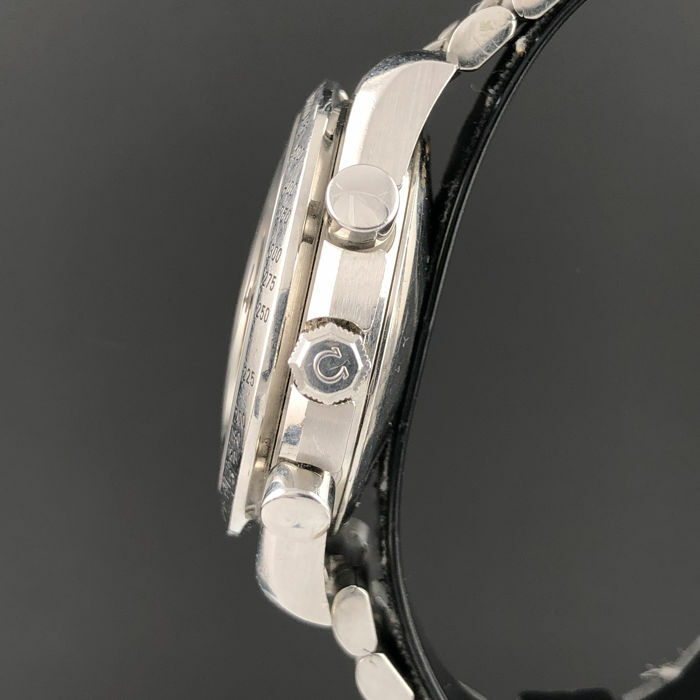 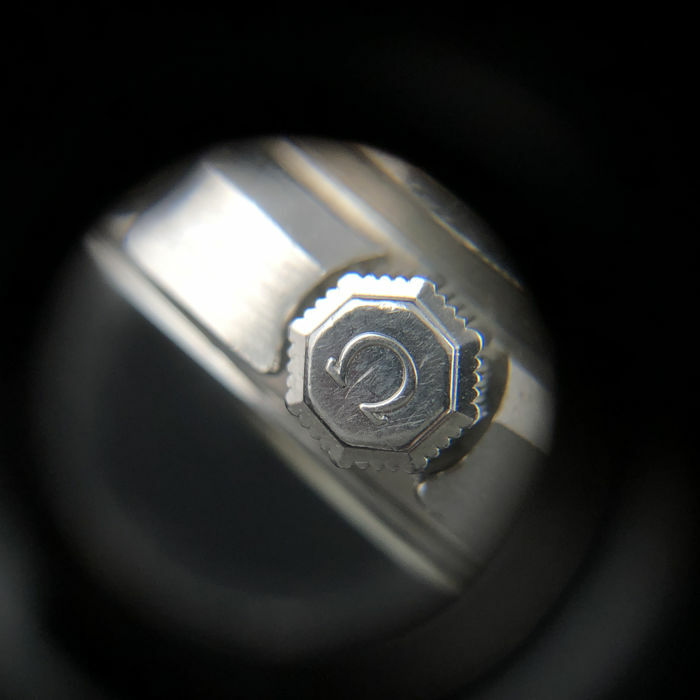 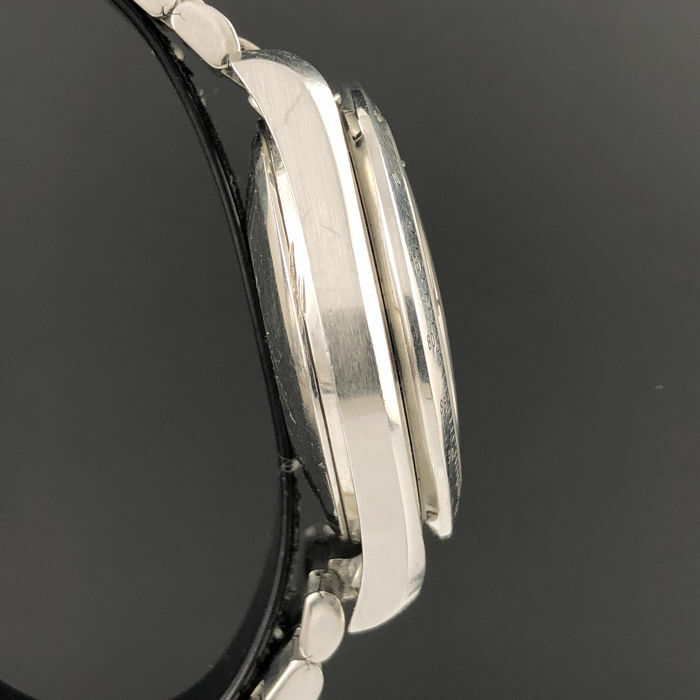 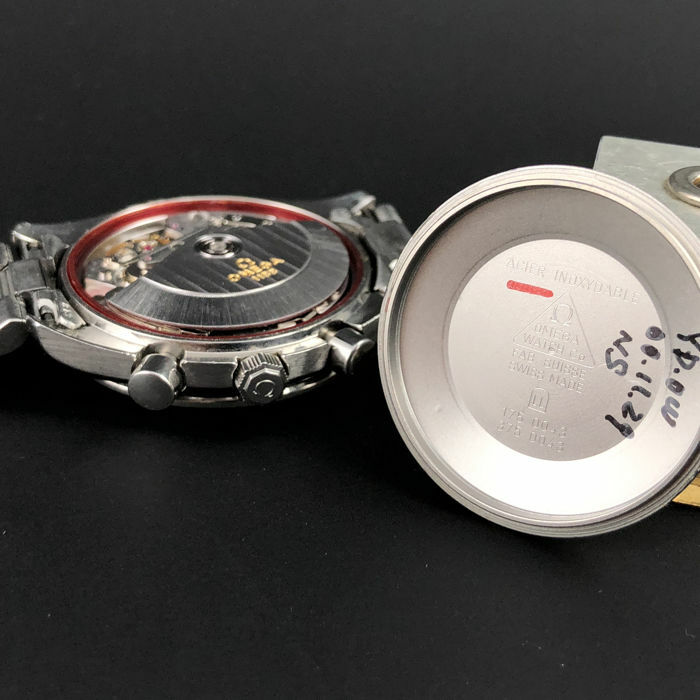 The steel bezel, with its tachymetric scale, is mounted on a 39mm (1,53 inch) stainless steel case excluding the crown and 43mm (1,69 inch) from lug to lug is in good condition, with minor surface scratches that are to be expected on any watch of this age. 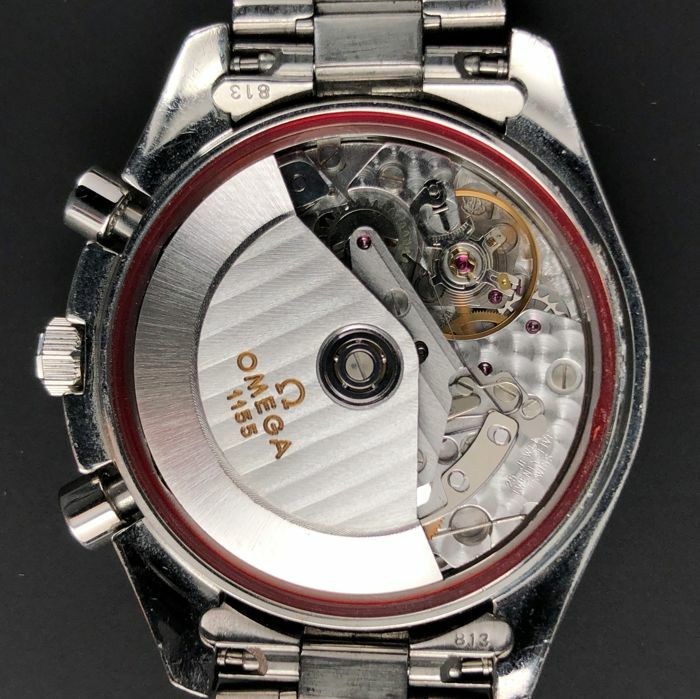 The back lid signed "Speedmaster", "54XXXXXX". 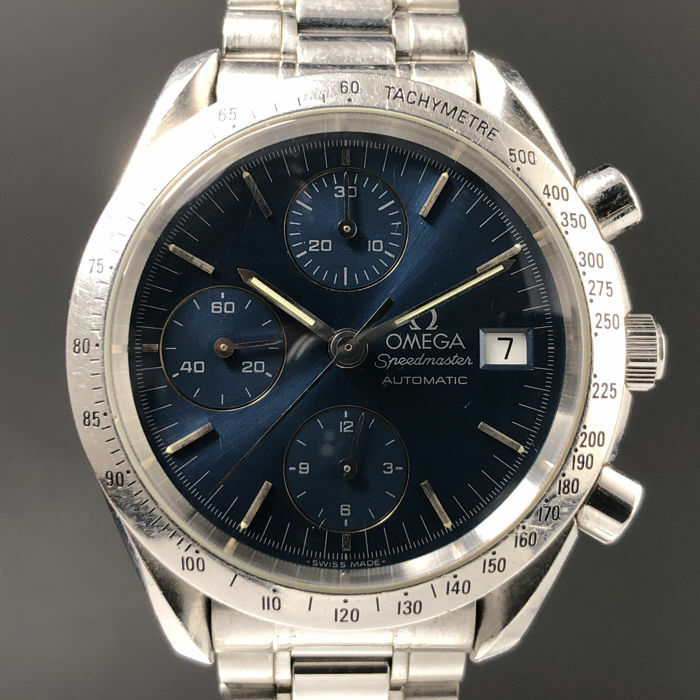 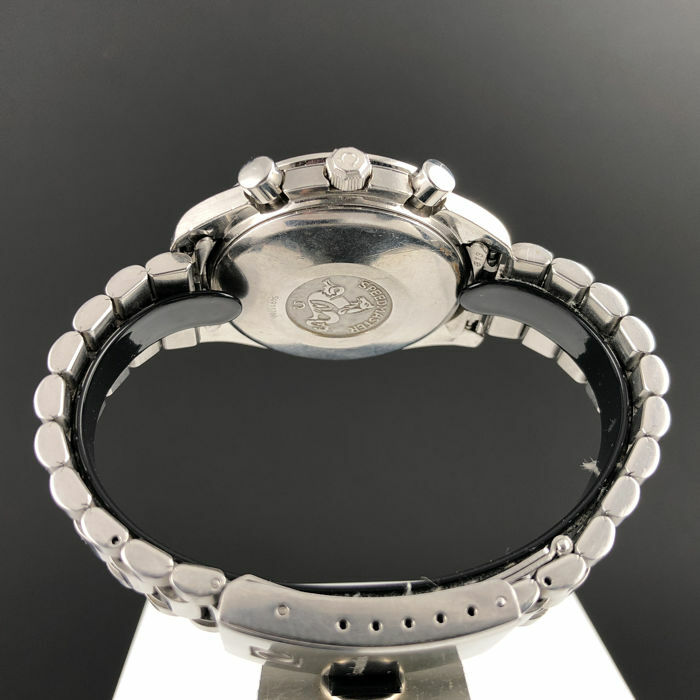 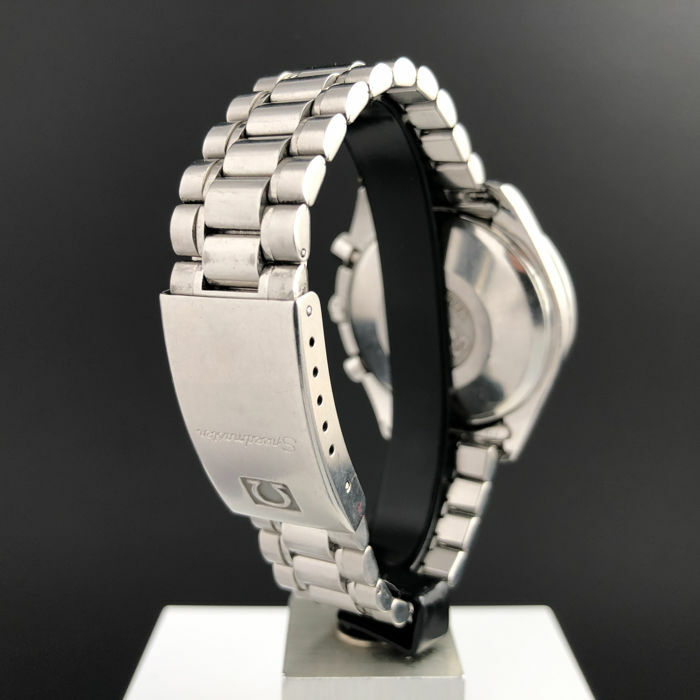 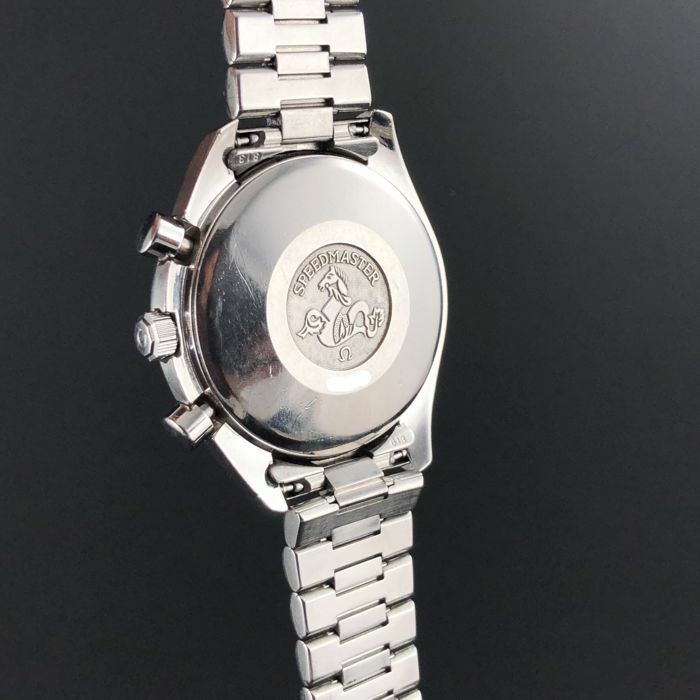 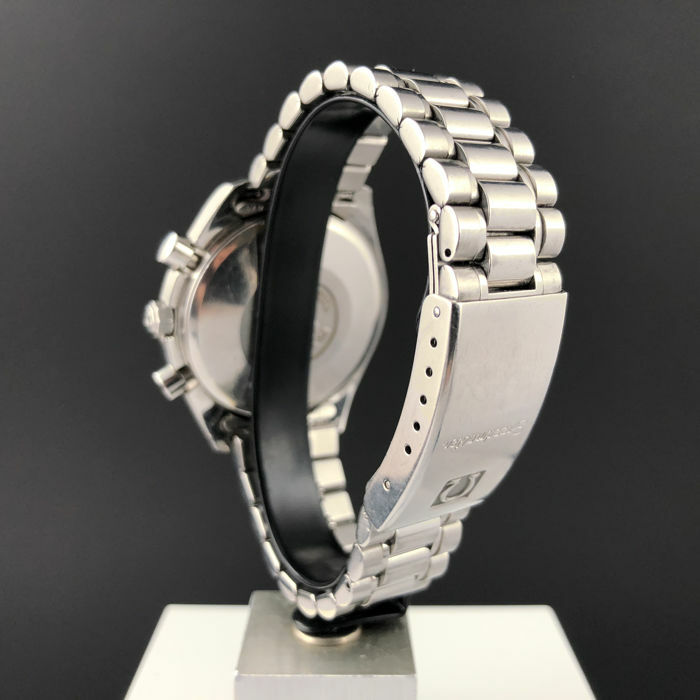 The watch is presented on original stainless steel bracelet 19,5cm (7,67 inch) with stainless steel clasp signed "Speedmaster" with the “Omega” logo.